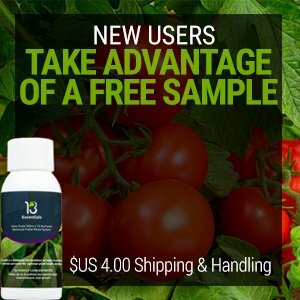 I was able to spray the 13 Essentials Foliar Three Times at the rate prescribed on the bottle. In our case, we were using an entire bottle in the spray tank and spraying Two acres using 75 gallons/acre to cover the entire vineyard canopy. 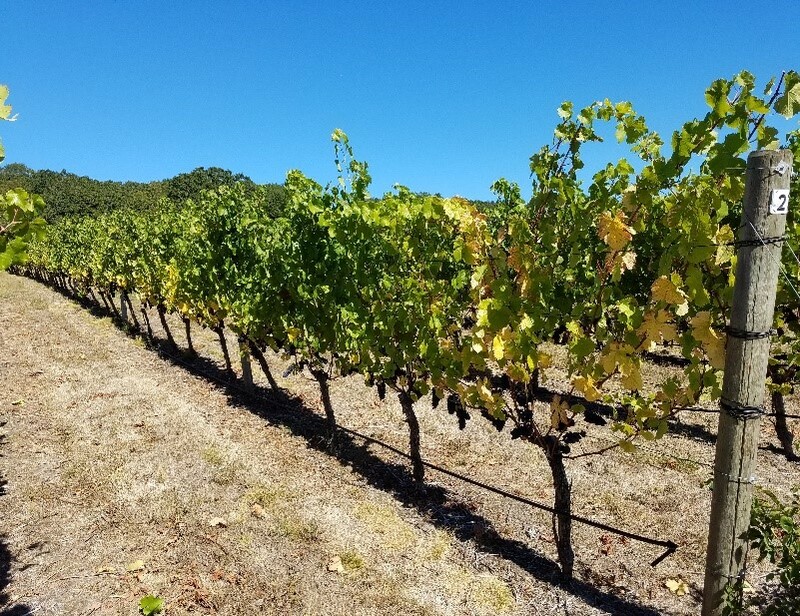 The Block sprayed is a 4 acre block of Willamette Valley Pinot Noir on a stressful Southwest facing block planted on droughty nutrient deficient soil. The 13 Essentials was prayed on half the block. 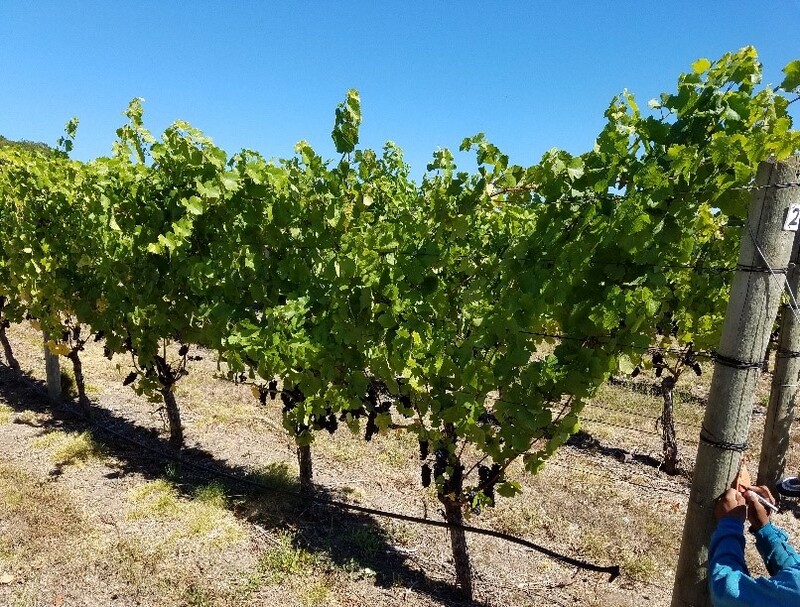 The spray timing was once at grape bunch closure, once at the Start of Veraison, and once at 50% Completion of Veraison. After the first spray there was already a noticeable difference in greenness of leaves and greenness of Chlorophyll. After the second 13 Essentials Spray you could really see the difference between the Yellowish Control Block Not Sprayed and the Balanced, Green, 13 Essentials Sprayed Block. 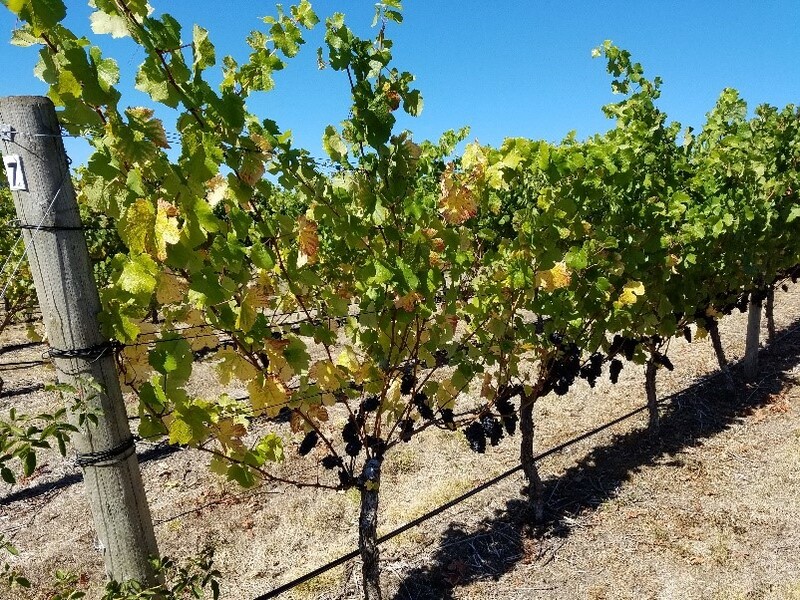 By the time we harvested the grapes, huge differences could be seen: The control block did not hold up to the drought stress of summer, leaves are yellow, and photosynthesis/chlorophyll has vastly declined. 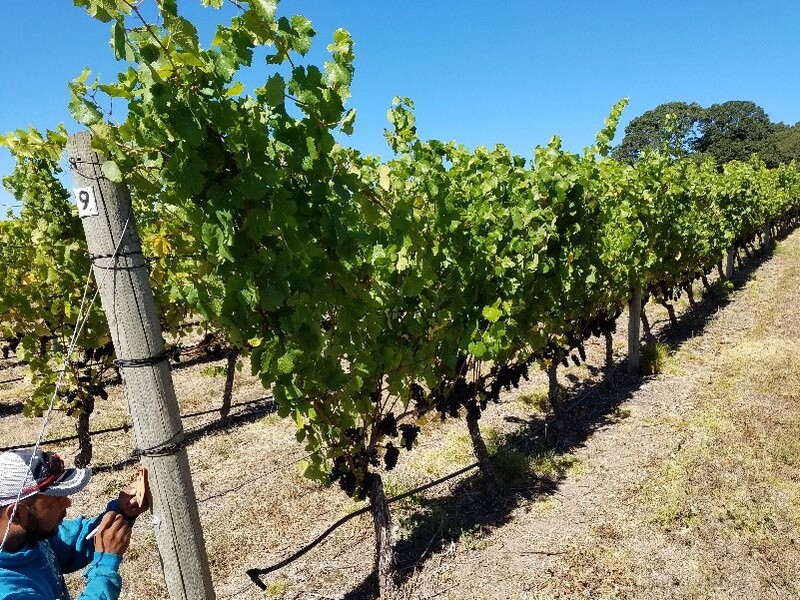 The 13 Essentials Spray block was looking green and healthy, leaves not yellowing, and more tolerant to the Drought-i-ness of Late Summer before harvest. Please see attached Photo’s Two Pictures of the Control Block East and West Sides of Vines and Two pics of the 13 Essentials Spray Block East and West Sides of the Vines. The control block had 100 lbs./ac. Green House Grade Potassium Nitrate in the Spring. Then Micronutrients where sprayed three times During Summer including 1 lb. Boron/ac, 5 lbs. Epsom Salt/ac, 1 gal. 10% Humic Acid/ac and 1 qt. Stimplex (Biocrop Stimulant). Pictures below are East and West Side Control (left) and with 13 Essentials Spray (Right).